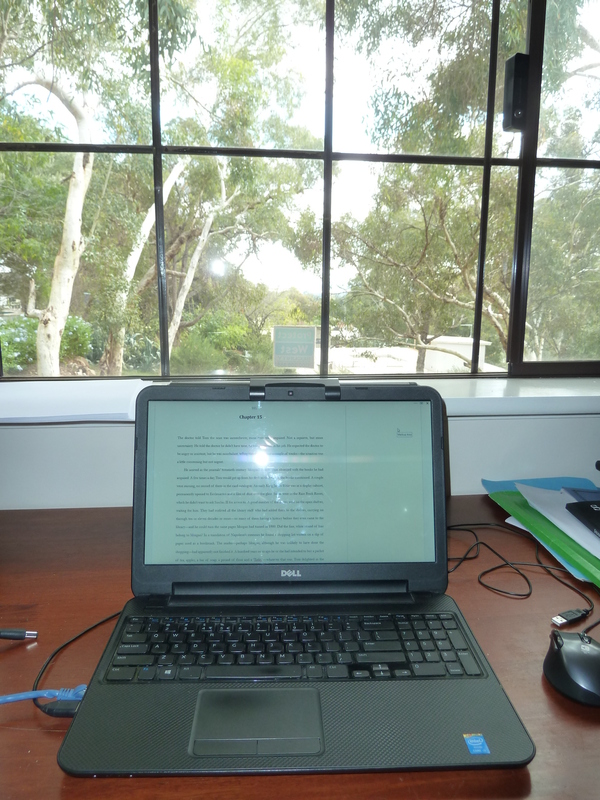 I started as writer-in-residence at KSP Writers’ Centre on Monday. I’m living for four weeks in a (very comfortable) cabin at the centre, and attempting in that time to finish the rewrite of the novel I’ve been working on (and off) since 2007, now “The Remains”. (Long-term readers of this blog may know it by the aliases of “The Library of Babel” and “The Immortalities”.) I find editing a little inglorious and slow-going. One can’t give a word tally at the end of the day, for one thing. But it’s what makes a lot of the difference between a mediocre novel and a good one. All the time, I’ve also got Katharine Susannah Prichard on my mind. I’m writing her biography from 1883 to 1919 for my PhD; she lived at this place from 1919 to 1969. It’s a special thing to cook in the same space she once cooked, to walk the paths she walked, to live and work in proximity to her memory. The KSP community is friendly and diverse. I’ve been spending time with the different writing groups. Today I launched Snapshots, the anthology for the Past Tense Group, who write mainly memoir. In that group there are so many fascinating stories, and we had a good conversation about research, technique, setting, and ethics. With publishing opportunities so limited (online aside), I think it’s a very good thing that each of the groups publishes an annual anthology. Perth is a city of light and shadow. It can seem perpetually shiny and new, yet behind the facade it has such an interesting past. In the quest for the exotic, too often local writers overlook its potential as a setting and influence. This workshop gives participants an opportunity to be inspired by Perth itself – its feel, its memories and legends, and its places, from the sand dunes to the hills. Costs: $30 for KSP-members, $45 for non-members. A three-course meal in literary company, with readings from me. Cost: $25 for KSP-members, $30 for non-members. Booking and payment in advance required for both.